Planning to start a vlog (video log) or enhance your existing blog with videos integrated with it? You’re going to need a camera to record videos if you wish to make your own rather than edit existing ones. With the variety of cameras on the market, your options are practically limitless, and you have a choice to go big or keep it small form. 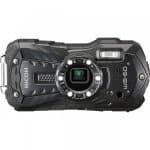 You can choose among full-on video cameras or a mobile phone with an excellent camera. Compact cameras will suffice as well. Whichever you choose, it must produce excellent image quality, has a superior audio recording, and performs well under low lighting. 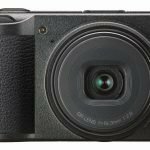 Perfect for vloggers on a budget, this compact camera boasts a 1080p recording resolution at 30fps. It’s not full HD recording, but close. With an optical image stabilization feature, front-facing microphones, and Wi-Fi connectivity, you are sure to get a decent recording and have the capacity to transfer clips with ease. Considering that you need to upload your video online, the Wi-Fi feature is definitely a bonus. 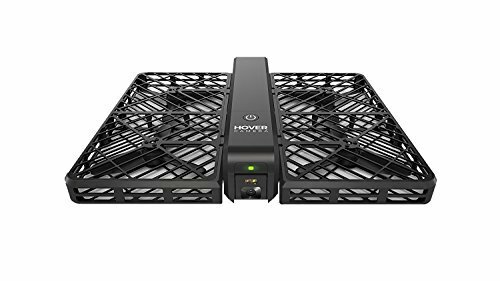 For a low price and equally low weight at 147 grams, you’re getting a good deal with this device. Recording would be easy and can be done with just one hand. Unfortunately, its low light performance is in need of improvement. This means recording would be limited to when lighting conditions are favorable. The battery life is only good for 220 shots as well, which would mean it will die a quick death if you stick with video recording rather than stills. Better take into account how much videos you wish to record in one day before you make a buying decision. Ideal for vloggers who want a high-quality camera but don’t have the cash to burn, this compact records videos with 1080p at 60fps. Its battery can only accommodate 230 still shots before it needs to be re-charged, which probably won’t give you a lot of recording time. Still, you are going to get some decent footage with this device, especially because it has a large image sensor that, in camera speak, mean excellent image quality. Add to this a sharp lens, Wi-Fi and easy file sharing support, and easy menu control, and you are getting a good deal. Raw data is also supported. What it lacks, however, is an electronic viewfinder, which can be a challenge when you’re trying to take a picture or record a video. Using the zoom may not work to your advantage as well since it will result in narrowed aperture. It has great capabilities, but not perfect. As an action camera, the YI 4K Action Camera is definitely ideal for vloggers who take things to the extreme, adding fun and adventure to video blogging. Recording in 4K at 30fps is not that bad of a deal either. In fact, it’s an awesome deal, especially because you get to record 4K for 2 hours with a single charge. What is even better is that it doesn’t cost an arm and a leg. 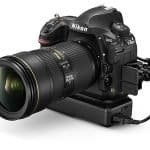 It also features electronic image stabilization, which should be expected since you’re likely to be filming a moving subject or filming while moving. It has touchscreen capabilities, and built-in Wi-Fi and Bluetooth. It also comes with a camera app that makes editing photos easier. Speaking of stills, the camera boasts of 12 megapixels. It is said to be perfect for beginners. The downside? Low ISO setting limit and the lack of aperture control. Think they’re a fair trade-off? As an actual camcorder, there’s no question that this device will give you the video you need to make your vlog a hit. 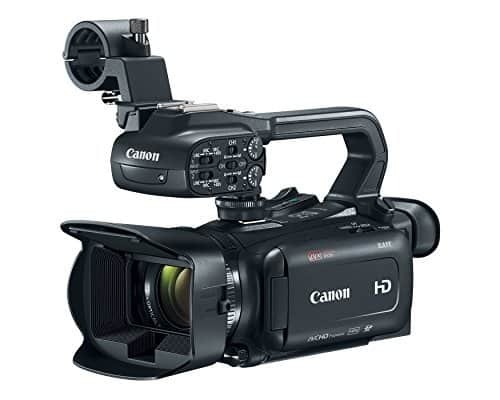 It records in HD, although the standard is 2304×1296 at 30fps, an aide angle lens at 160-degree wide focus, built-in type speaker, and two condenser type microphones that can capture high-quality audio recording. 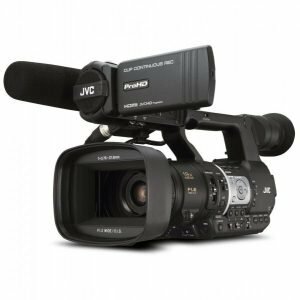 It may lack 4K recording capabilities, but it is capable separating audio and video tracks for better results. 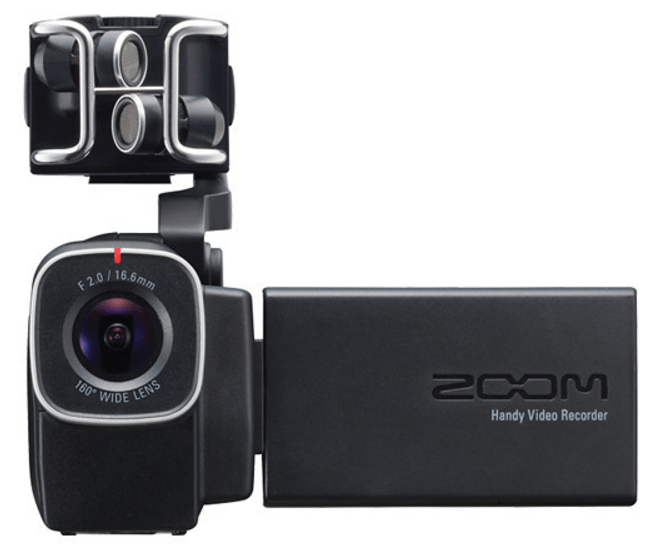 Where video recording is concerned, this camcorder definitely is ideal for no-nonsense vloggers. An excellent choice. What isn’t great about it, however, is that battery life is short if you record at maximum resolutions. If you stick at 720p it will last for 2 hours. It doesn’t have Wi-Fi, which is a bummer when you need to transfer files, and it has poor low light performance. This means recording at dusk would require additional lighting equipment. 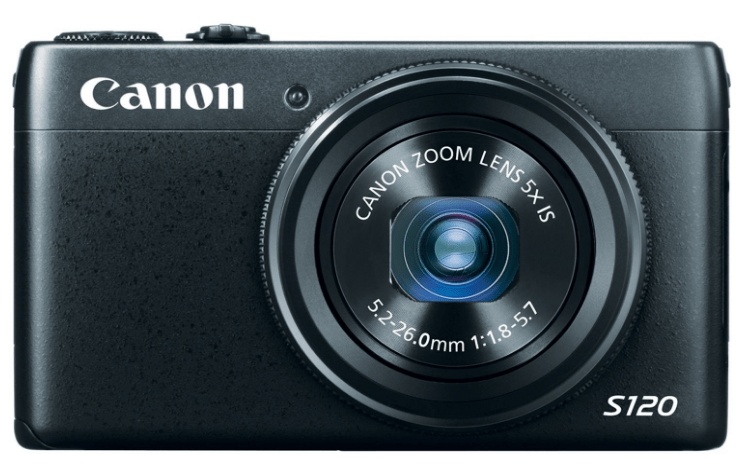 A compact camera suitable for no-nonsense vloggers, the Canon Powershot G7 X Mark II supports 1080p recording at 60fps. You can also switch to 30 or 24fps if you so desire. 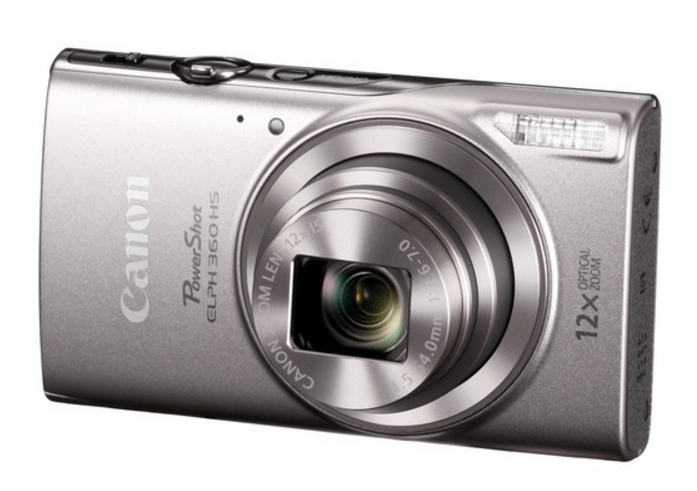 Because of its compact size and light weight, it is one of the cameras preferred by video bloggers. It also comes highly recommended by YouTubers. But their choice is likely to be influenced more by the fact that it has a flip screen and touchscreen feature that will make it easier to record in selfie mode. The 20.1 megapixels stills is also an added bonus. What is even better is that noise is reduced if you crank the ISO settings to high. So what’s the catch? It lacks an external mic port, which can be a bit of a problem when recording with audio. Voice is better picked up with an external mic, after all. Well, you just have to be ingenious to make things work for you. Despite its compact size, the Sony a6500 is surprisingly packed with some features video bloggers would highly appreciate. No wonder it comes highly recommended. For one, it has a 24.2MP APS-C Exmor type CMOS sensor that guarantees amazing pictures. 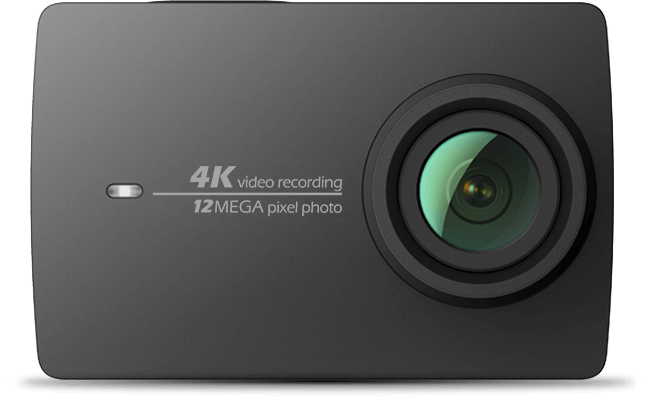 Video recording won’t disappoint either at 4K resolution at 30fps. Combined with great image stabilization, it is quite the bomb. Quality-wise it can go up to an impressive 25600 ISO level. 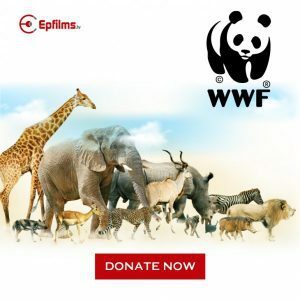 It also comes with an autofocus feature that will make it easier for you to record on location even when said location is a bit tricky and challenging. 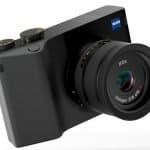 Although this device is recommended for passionate video bloggers, beginners would love its user-friendliness, fast autofocus, and customizable buttons. These make camera handling and operation less challenging. The battery life, however, is a bit disappointing at 310 shots. It’s not that bad, but it would have been better if it can last up to 500 shots. 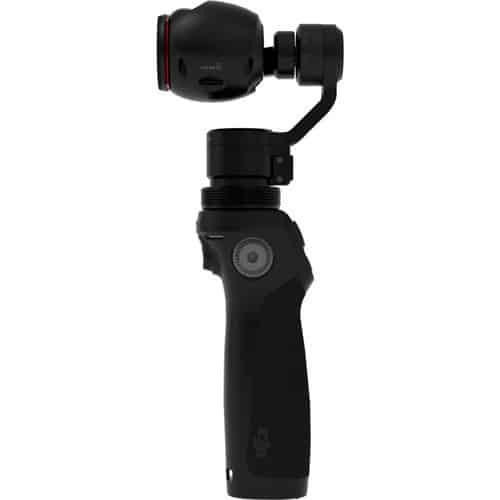 As a stabilizer with Lens, the DJI Osmo+ is an awesome camera for passionate vloggers. If not for the short battery life, it would have been perfect. 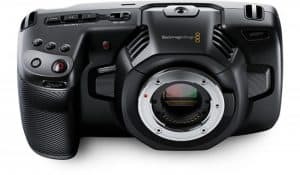 This is because it not only offers amazing picture quality and 4K recording at 30fps but also better low light performance and the ability to switch between auto and slow motion video recording modes. The 3 axis stabilizer also contributes to better video recording, enhanced further by the UV filter. The camera and gimbal are also interchangeable. For your convenience, you can also operate the camera through the DJI GO advanced mobile app. With two channel audio outputs, it is almost perfect. Apart from the limited battery life, it also has poor low light performance, so you might want to think twice about buying it if most of your recording will be done under low lighting conditions. Under the circumstances, your investment would be a waste. If you want to use a DSLR camera for video blogging, this device is a great option. With 4K recording capabilities at 30fps, you will get some really great footage from this baby. This is why pro vloggers give it a thumbs up. It also has a handy design that will work well with a tripod, should you need to get a super-steady shot. With time lapse and slow motion mode, video recording will be easier as well. It’s easy to see how you can get amazing video quality from this camera. What is even better is that you can record up to 4 hours without interruption, which means there are no restrictions on the length of the video, or the only limit would be the battery life. This also gives you 500 shots at a single charge. If you prefer to record under low light or capture landscape photos, this might not be the answer to your needs. 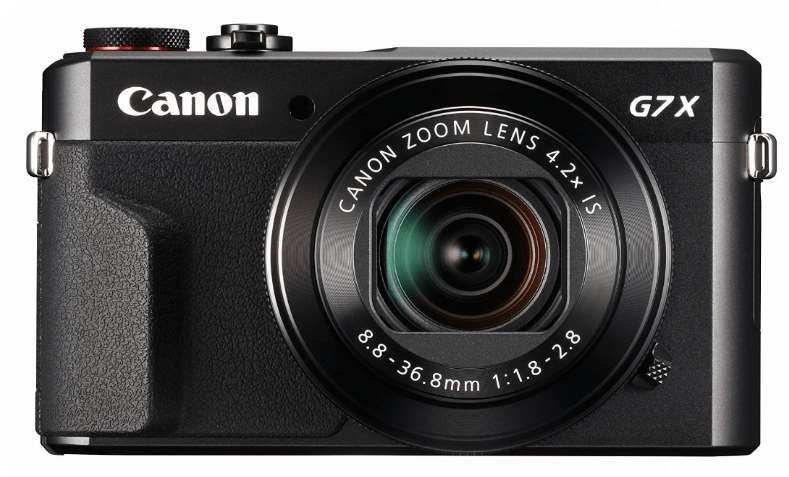 This may not be an action camera, but this DSLR offering from Canon could be used outdoors and under harsh conditions, what with its weather sealed design and rugged body. It definitely appeals to a certain group of professional vloggers. But its real highlight is the faster processor that makes recording 1080p videos at 60fps quick and high quality. You can even take it up to full HD recording at 60fps since the camera supports the feature. Combined with better low light performance, dual pixel auto focus feature, and an interactive menu, you can use the camera to its full potential. It is also Wi-Fi enabled and comes with NFC technology for easy transfer and access of images and videos. As for the battery life, it can last up to 960 shots before it would have to be recharged. Not bad, right? It is a bit expensive for its price, however. But if you’re ready to splurge…why not? 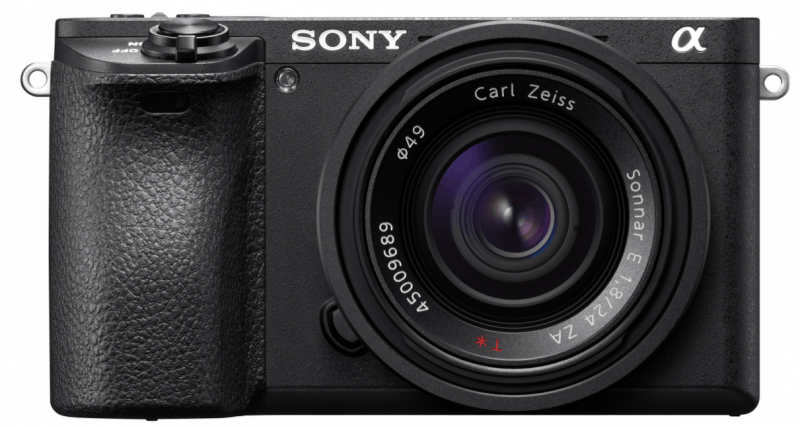 A mirrorless camera, the Sony a7R II is perfect for people who have made video blogging as both a hobby and a profession, which translates to video recording at professional quality. 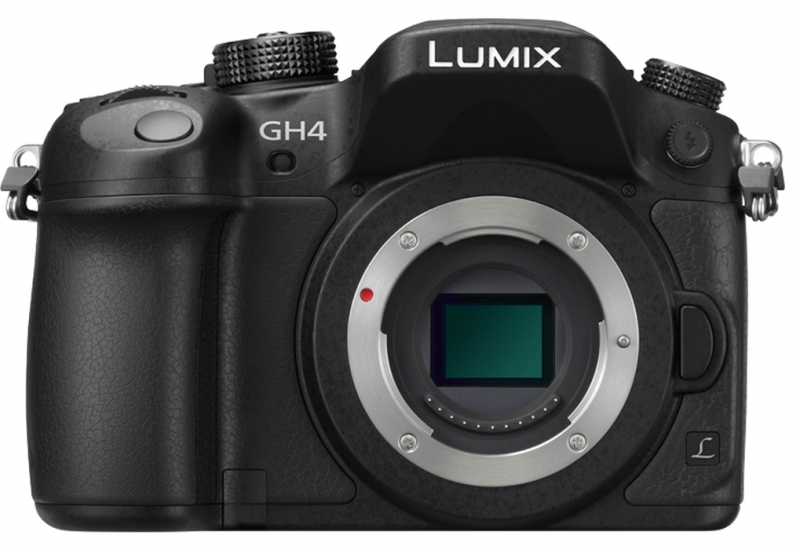 This camera has 4K recording capabilities at 30fps. With high ISO facility, performance becomes even more outstanding. 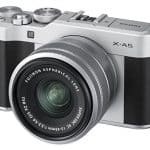 Equipped with advanced 5 axis image stabilization feature, you can take on the challenge of recording or capturing an image of a moving subject and come out a winner. With Wi-Fi and NFC technology added, transferring and uploading video blogs online won’t be a problem. 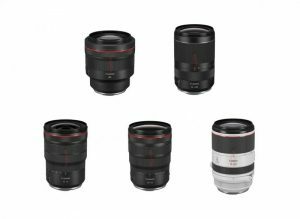 Being mirrorless, you can easily switch to different lenses, depending on the video you want to shoot. 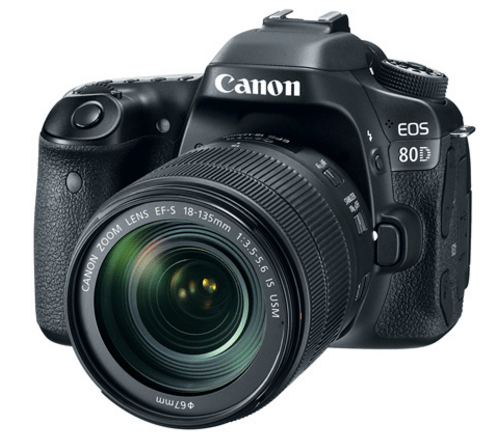 You can even use Canon lenses with this camera, provided that you have an adapter. The biggest downside with this device, however, is the limited battery life. What can you possibly record with a battery charge that can only accommodate 290 shots? Now that you know some of the best cameras for vlogging, complete with each of their pros and cons, choosing the right one for your needs would no longer be rocket science. But don’t just rely on price as a deciding factor. Make it a priority to focus on image quality, low light performance, audio quality, and battery life. There should be a good balance to all the features that matter. If sacrifices have to be made, never do it at the expense of recording quality. Obviously. Again, it comes down to achieving a balance on all the features that matter the most.